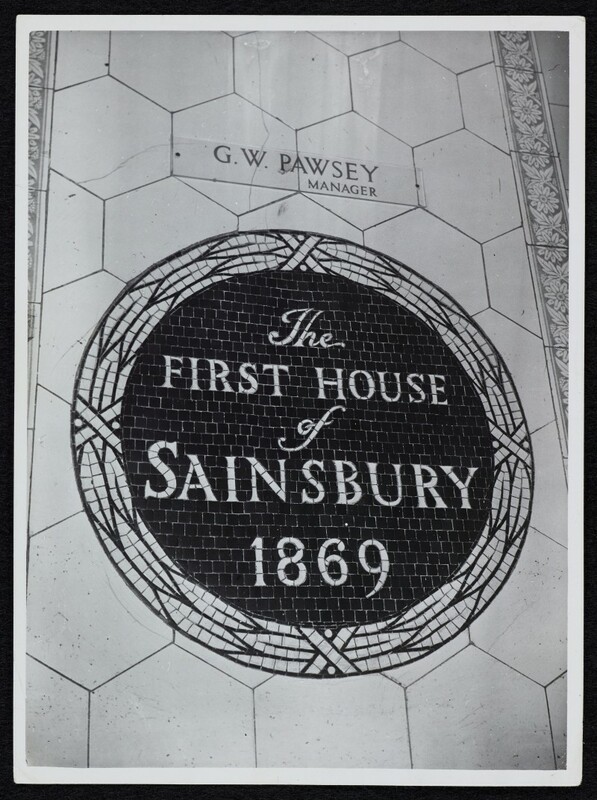 Photograph of the mosaic plaque "The First House of Sainsbury 1869". This mosaic plaque is now in the Sainsbury Archive (reference SA/BR/22/D/23). A small plaque with the manager's name G.W. Pawsey is above.